I was so distracted by my own thoughts that I did not notice small crowd of children until I paused to breathe in deeply, looking up from my lap. 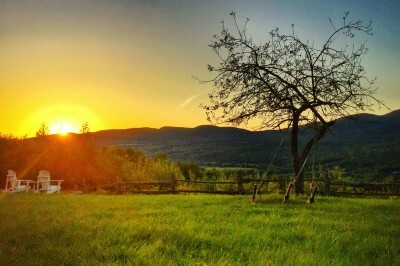 In my frantic attempt to jot down the ups and downs of the last few days I had temporarily lost my sense of place. Scrawling into a worn notebook, my hands were smeared with ink and my lip curled in concentration. I was trying to remember every aspect of the chaos that got me from Marrakech to M’hamid, squinting my eyes shut as I re-imagined the careening roads and monster trucks barrelling straight for me, shunting to the side of the road at the very last second. But then I took a deep breath and opened my eyes to find a dozen children staring straight at me with confused and curious looks on their faces. One of the more curious children in the group. I was in Chefchaouen, a tiny town in Morocco’s Rif mountains. It was a last minute decision to make the trek up from Marrakech but I had heard so many wonderful stories about the dizzying medina and its narrow blue buildings that I wanted to see it for myself. I took an overnight train from Marrakech to Tangiers, despite the fact that everyone told me it would be impossible to reach during Eid al Adha (the Feast of Sacrifice). Sleepy-eyed, I stumbled off the train at dawn hoping to find one bus that would bring me up to Chefchaouen. The train station attendant and anyone else I queried advised me to head to the CTM bus office, separate from the bus station. They all had the same refrain: you’ll be fine, you’ll be fine. Advised that the office would open just after the call to prayer, I hopped into a taxi, shivering in the early morning chill. My driver took a different view, flatly informing me that I was most certainly not going anywhere today. In his view, I ought to have just stayed in Marrakech. Yes, yes – I knew. But I had hoped that one of the buses would be heading to the Algerian border and that I could board it too, hopping off in Chefchaouen. For several hours I sat crouched at the side of the road near the office, following a tiny patch of sun that did nothing for my cold hands and toes. I tried to ignore the uneasy expressions of the men streaming toward the call to prayer, a river of white jalabas and yellow babouches glaring at me as they passed. At around 8am, an older man with crazed white hair came over to my patch of grass to spit on me, then took off as two dogs chased him away. I decided to take a taxi to the main bus terminal as waiting near the CTM offices no longer seemed advisable. When it was time to cross Tangiers once more for my bus, the prayers were fully over and throughout the city, men had begun to drag sheep across alleyways and main roads for the beginning of the feast of sacrifice. The smell in the air had changed, and fires were lit on almost every street corner, the roads devoid of cars and echoing the bleats of sheep on their way to slaughter instead of the usual car horns. The streets of Tangiers, Morocco during the Feast of Sacrifice. Sheep skins on the streets. In the end, the CTM office was open, the bus attendant laughing at my stubborn refusal to give up on Chefchaouen. He noted that there was no bus scheduled but because of an earlier bus breakdown, many Algerian workers heading home for Eid did not make yesterday’s bus. Last minute, they decided to run the route despite the holiday. I dropped off my bag and started up the street, following the smell of sheep. 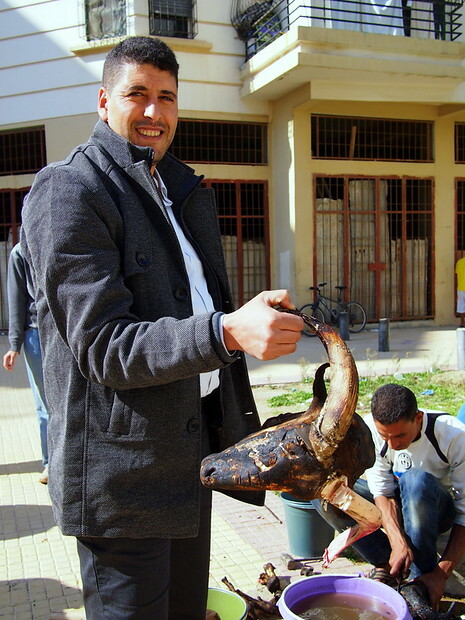 Of course, in Montreal and New York many of my Muslim friends celebrate Eid al-Adha but none by traditional sacrifice. Inching toward men scraping charring off of a sheep’s head, I asked in French if I could watch them as they went about their work. Confused, they agreed and then asked what I was doing there, drifting around Tangiers alone at the start of a national holiday. 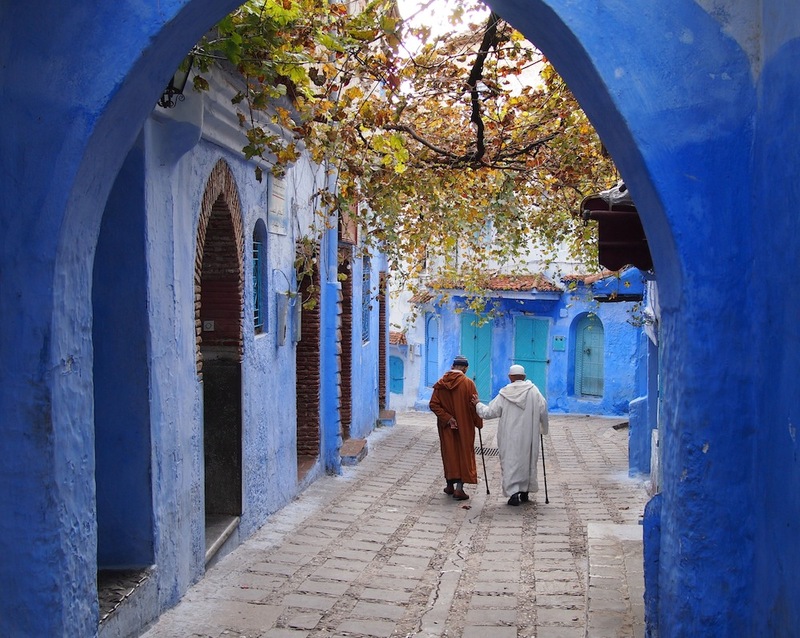 I explained my desire to get to Chefchaouen, took out my camera and started photographing their handiwork. Conversation flowed easily. One man wanted to discuss emigration to Canada, another asked me if I spoke Spanish (given Tangiers’ proximity to Spain, the “bonjours” had switched to “holas”), and then they both started peppering me with questions about my life and my time in Morocco. My week in Chefchaouen had barely begun and already it was quite the adventure. 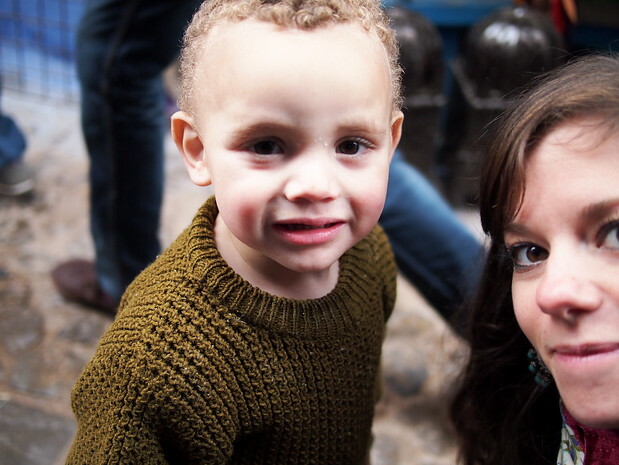 Friendly chatting on the streets of Tangiers. The bus ride itself was uneventful, and I made it to my Riad in one piece, to the shock of its owners who had assumed that it would be impossible to find my way there on the day the country stands still. Set in the heart of the old medina, the Riad was off a tiny alleyway and accessible only by foot. I dropped off my belongings and started to wander. 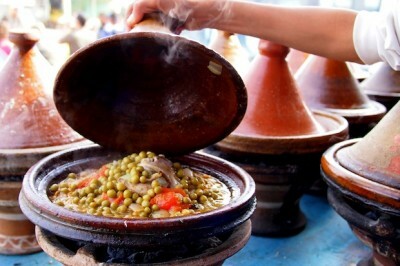 Digesting Chefchaouen would take time. Blue doors against blue sky, shades from pale to bright all mixed together and an overwhelming sight to see, especially after an exhausting morning of ferrying around Tangiers. There were tourists, but mostly there were locals going about their lives. Chefchaouen in the bright sun. Quiet alleyways in the medina. The medina was a maze of miniature. Secret alleys and doll-like doors, painted in brown or blue, grommeted with brass. Every corner held a wondrous surprise of colour and texture and echoing laughter from the children playing ball, ricocheting giggles and kicks off the slender walls. Perfectly groomed green plants sat on doorstops, contrasted against ochre and blue, and colourful laundry was strewn across windows and side streets, adding to the rainbow. In every direction, the shadows of someone hunched over a cane, hood pulled up to protect against the wind. And the most reminiscent of all, the sound of jalabas whispering against the cobblestones as men walked to prayer, leather babouches rhythmically scraping against the sides of the stairs with a slow climb to the top. One my favourite photos from the week. 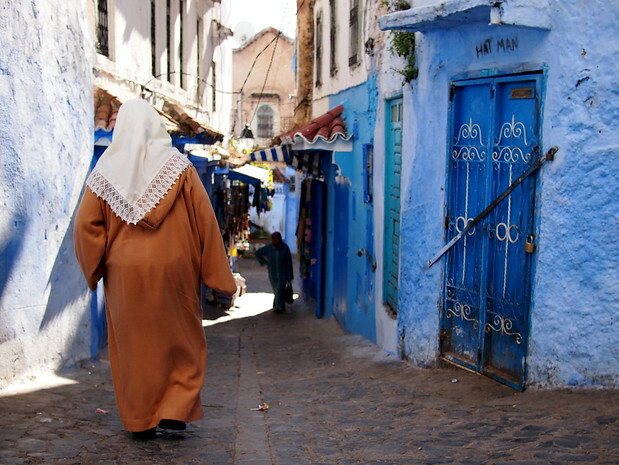 I knew this wasn’t realistically “Chefchaouen” – it was only a small part, the medina. Walking outside of Bab El Lyne gate brought reality crashing back. A hard blink, a glance up at the electronic clock from a nearby bank and colourless buildings and I remembered, of course, that Chefchaouen was a city like many others, with roundabouts and grocery stores and regular roads. But spending a few days inside the medina without leaving its deliciously cloistered alleyways made it easy to forget the outside world. Stepping into that labrinyth of blue was like stepping into another time zone on a planet far away, with creaky doors and sounds from elsewhere. On my first day, I tried to wind my way up and up to the Ras el-Maa, what town residents kept referring to as “the source”. A tiny waterfall spurting out of the mountain, the el-Maa served as a meeting point for locals, a picnic spot and a place where people came to do their laundry among the tourists and wanderers. After half an hour of walking, I rounded a corner and found myself exactly where I began, somehow losing all my ground and netting out right outside my Riad. I needed to start out once again. This was the theme: straining to see what lay around the next corner, hoping I ended up where I wanted to be, only to find myself exactly in the opposite place. I spent most of my time in Chefchaouen exploring in a wholeheartedly ineffective manner, the small directional victories carrying my enthusiasm to the next set of buildings high above. Those miniature triumphs were hard to come by; most of the time I was spun in a circle, on the other side of town or a quiet square I never knew existed. 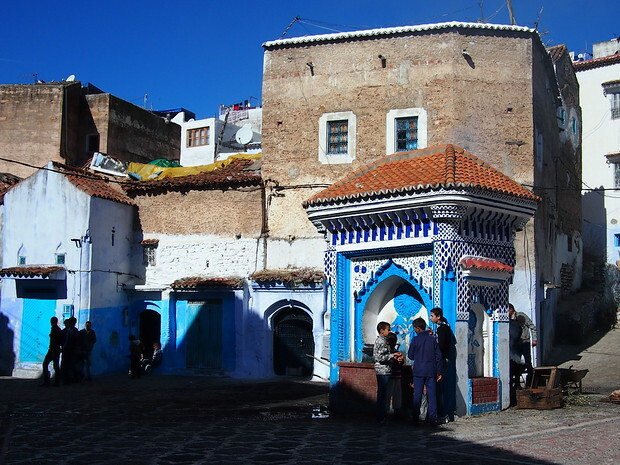 A larger square within Chefchaouen’s medina. Great tea shop on the righthand side. Getting lost would have been frustrating anywhere else, but in Chefchaouen it was part of the fun. Without the aggression from Fez’ medina, I was content to drift aimlessly and take in all the sights, stopping for tea or nos-nos (half coffee, half milk) whenever I wanted. 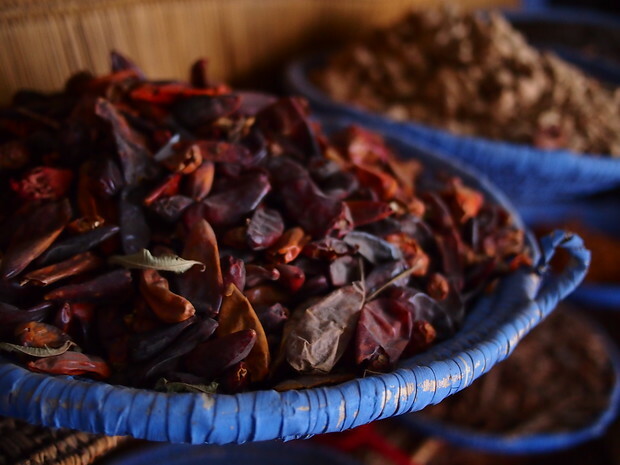 Spice shops dotted the sides of the street, full of kharkhoum (turmeric) and Moroccan oils, incense and musk . A communal bakery called a furn fired up at dawn, burning from the giant pile of branches just outside the low building. Young women would run their kneaded, uncooked dough to be baked in the community oven, and then rush back home hours later with fresh, warm bread. 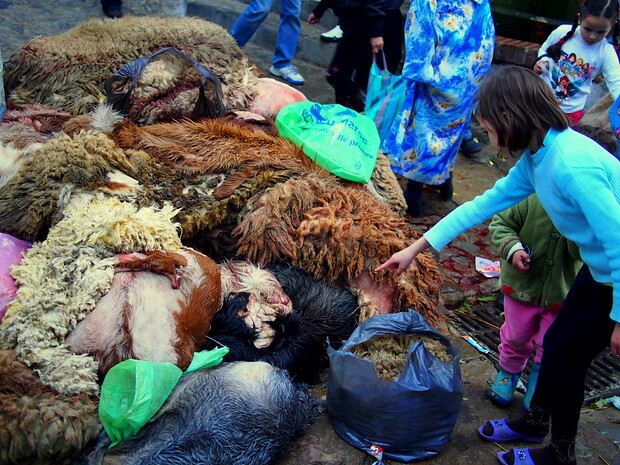 And everywhere, on each corner, sheep skins and blood from the remnants of Eid. I arrived to Chefchaouen as the last sacrifices were being performed and by the time I explored the town, the air was full with the smell of roasting mutton. 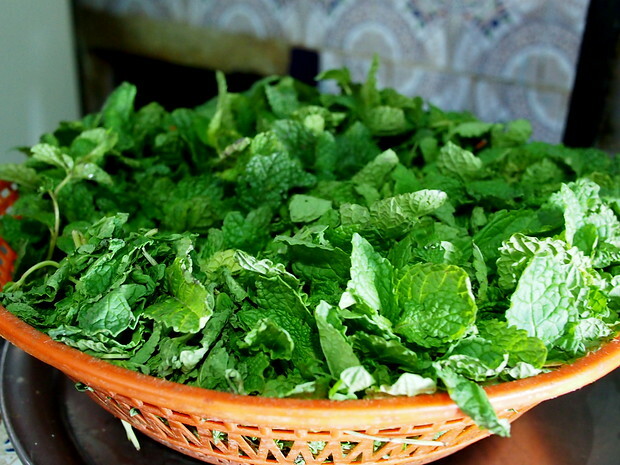 Mint leaves figured prominently in my tea-soaked diet. Dried herbs and spices from a shop off the main square. The older women were the gentlest of all, nanas who moved at a slower speed than anyone else, graceful but hampered by arthritis. On my third day in town, I left the Riad in haste, skirting around a corner and almost knocking over an elderly woman who was leaning against a wall and out of breath. I took her arm and slowly we stumbled up the length of the stairs to the next road, her face a mixture of shock and laughter as the men in town pushed by us and stopped in their tracks, wondering what a smiling tourist was doing holding hands with a local grandmother. At the top of the stairs, she turned to me and patted my cheek. “Your mother raised you well,” she said in French. And off she went into the sun. 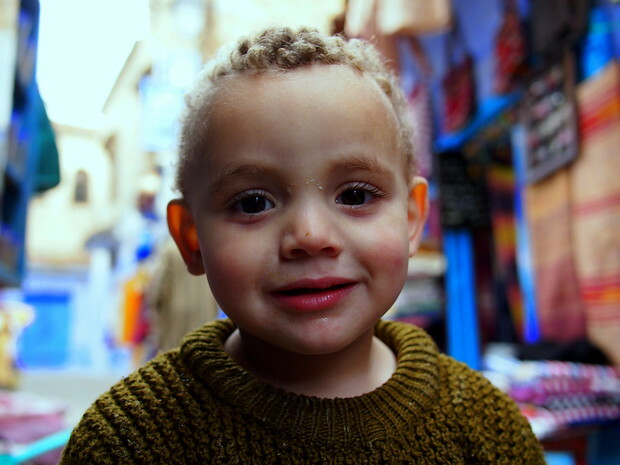 My week in Chefchaouen is full of these snapshots, vivid in colour and deeply etched in my mind. But none is as close to the surface as that moment when I opened my eyes a dozen children, staring at me with total discombobulation. I smiled slowly and the eldest came forward. “What are you doing?”, he asked in French. “But how are you writing?” he asked, more forcefully this time. Impasse. I wasn’t sure what he was asking me. Was it a permission problem or a question about what I planned to do with those words? I closed the notebook carefully, not wanting to lose the memories I had already jotted down. The children all stared at me, foreheads knotted, until a smaller girl came to the front and plopped down in front of me on the stoop, staring up at my face with wide eyes. She took my pen and mimicked what I was doing, then stopped and stared up at me for approval. I gave her a hug, still concerned that I had somehow offended my impromptu hosts. “How?” He asked again, more softly. Surely that couldn’t be it? But it was. I remembered reading that Morocco’s overall literacy rate was approximately 56%, considerably lower when only women were measured. The older boy waited for my answer. “I learned in school,” I said slowly. And then I ripped out a paper for the little girl sitting at my knee and asked her for her name, trying to teach her how to do it herself. Until the sun went down, those kids stayed with me, practicing letters and joking in a blended mix of Spanish, Arabic and French. 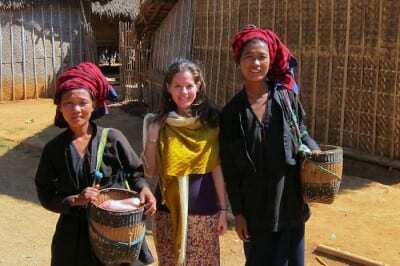 I’ve written before about how travel keeps life in perspective, but it isn’t just about the big things, like the fire in Myanmar that prompted my original post. Sometimes it’s about the smaller things too. A long bus ride to the Rif mountains, full of migrant workers hoping to get home to their families. A moment in Essaouira as dusk approached. Confusion over coffee in Bangkok. Or an unexpected afternoon teaching children how to write their names, their arms full of ink. Things that confuse children in far-flung places: self-portraits. In Arabian Nights, by Tahir Shah: not to be confused with The Arabian Nights, this is a wonderful memoir from Tahir Shah about storytelling and Morocco and his search for meaning in a new place. Jeff Kohler’s wonderful cookbook about Morocco: A Culinary Journey with Recipes from the Spice-Scented Markets of Marrakech to the Date-Filled Oasis of Zagora. A House in Fez, by Suzanna Clarke, who bought an old house in Fez and set upon the task of making it their own. George Orwell’s 1939 piece on Marrakesh. How Warren Beatty seduced the studios into making the comedy Ishtar, which set the modern bar for cinematic debacles. For those seeking a guidebook, I used the Lonely Planet Guide to Morocco. I wish I had something more to say after so many comments here, but I guess most have been said. Let me just add… #selfie! YAY! Your travels here sound AMAZING! I am studying abroad in Spain this semester and I am looking into traveling to Morocco. I came across this city online and I would love to visit here. Your pictures and descriptions look beautiful. Do you have any advice for me? As a 19-year old female, would it be okay if I came here alone? Beautifully captured in word and image . Thankyou. The spit thing may be to ward off the evil eye, I remember being presented with new clothes by an aunt and being told to try them on. I returned wearing the clothes and my aunt promptly spat on me, much to my horror. Many thanks for this. I first went to Morocco for a work colleague’s wedding in January 2013. 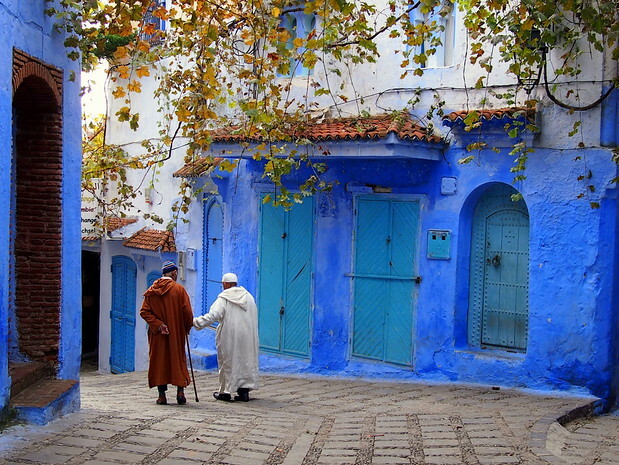 Would have wanted to go to Chefchaouen once I had heard about it, but we just were not organised enough as a group. I have been thinking about it since then. This post has once again whetted my appetite. Thanks Diane — I’m glad you enjoyed the post. I love your discripton of the beautiful Chefchaouen and from a local view you gave it your own feeling and a romantic atmosphere. The person who spit on you must be out of his mind and not respresenting me anyway. Beautiful stuff, Jodi. I’m in Fez this evening and heading to Chaouen tomorrow – just for a quick day/night visit, but now I’m thinking I should have booked more time there after reading your piece! Cool pictures. 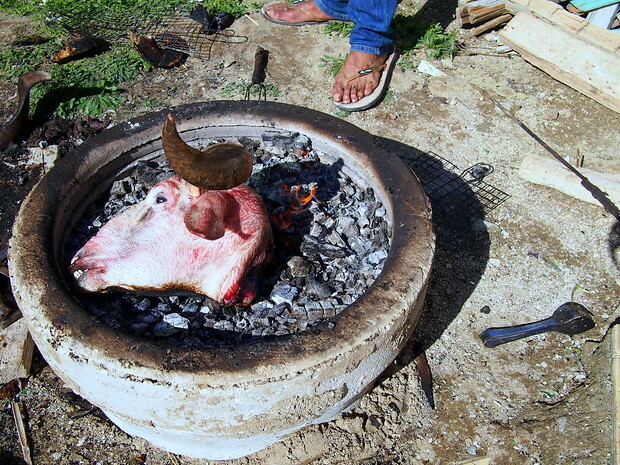 I went in 2013, I wish I had been there for the feast of sacrifice. 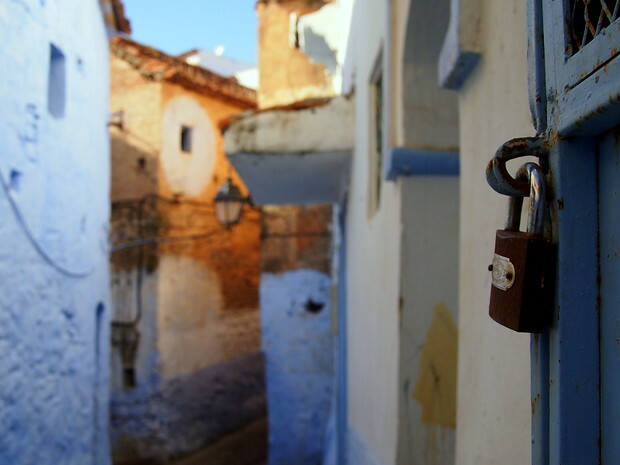 I really liked Chefchaouen, a beautiful place and ideal town for those of us who love photography. It’s true, so many nooks and crannies to photograph. Thank you for reading and for the comment! We visited Chefchaouen again last year and I can completely agree with your recount. Taking the bus in Morocco is a rather stressful experience! The first time we visited, we took the CTM bus from Tetouan to Chefchaouen. Unfortunately it was very late and the bus wasn’t in great condition. It was a fairly bad experience, but the amazing blue village at the end of the journey made it all worth it! On our second time in Chefchaouen (last year), we booked an excursion from Tangier to Chefchaouen through a private company (not wishing to risk the journey in a crazy grand taxi). I think the website was Tangiers Taxi. We paid about €100 and had a new car with a friendly English speaking driver (and air conditioning, thank god!!!!!!) An excellent price all things considered. I think the problem with the grand taxis is that they will always try to rip you off. There is a price for the locals and a price for the tourists. I’ve even heard stories about other African people getting the “tourist prices” because their Arabic accent is not the Moroccan accent. Either way, it’s definitely a good story to tell, but maybe not one I would be rushing to repeat! 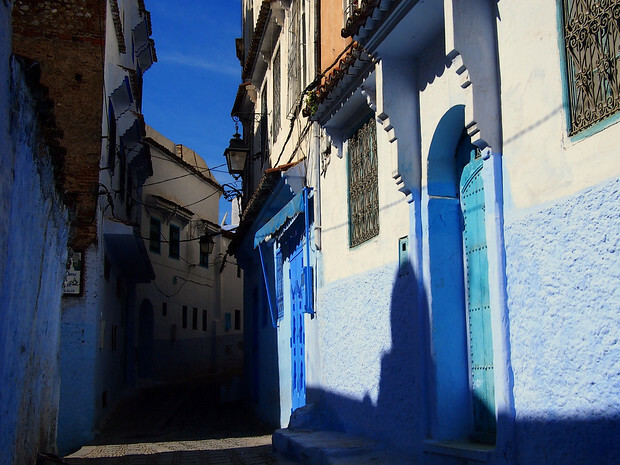 Your trip sounds amazing – I’m planning on heading to Chefchaouen in January :) I was wondering how the overnight train from Marrakech to Tangier was for you. I’ll be doing a solo travel in Morocco in January and was wondering if the overnight train is safe for a solo female traveler like myself. Thank you! Hi Lucia, train was fine but I was with a friend. If you are worried about it perhaps take the day route? 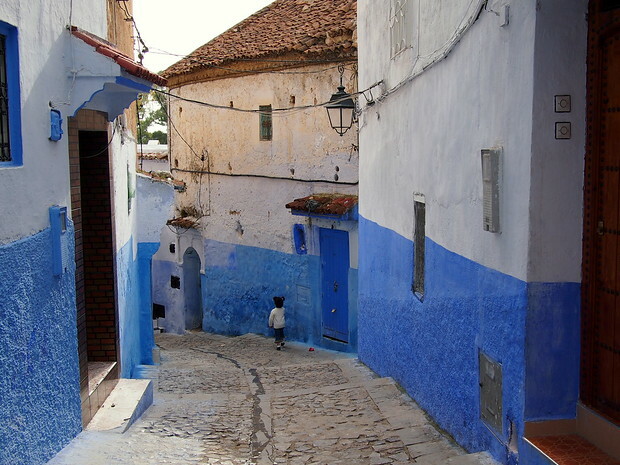 I’m visiting Chefchaouen next week! Sorry for all the specific questions, but I’m hunting for answers on the interwebs… I intend to send postcards while I’m there. How does sending them out work? Is there a nearby post office? Also, what do you recommend in terms of currency for shopping? Will I be able to use my credit card, or do you recommend cash (Moroccan cash/Spanish cash)? Hi Jed, was there in 2009 so i’m not really the right person to ask as I assume the city has changed. Postcards and post offices usually easy in any big city (these photos are the medina but Chef is waaaay beyond just this blue part. I used Dirham as currency. I would like a visit there but all that animal slaughter is just to upsetting considering animals have souls & feelings just like us. I’m not sure where you’d visit to avoid this, as there are no vegan countries.